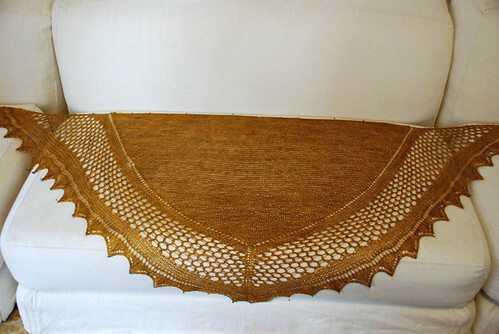 I finished this shawl a while ago, and it's already with ts owner (hallo mum! ), who likes it quite a lot, or so it seems. I'm very happy with it. It took a long time to finish as I left it aside at a certain point, I don't even know why, but sometimes ago I decided to finish. 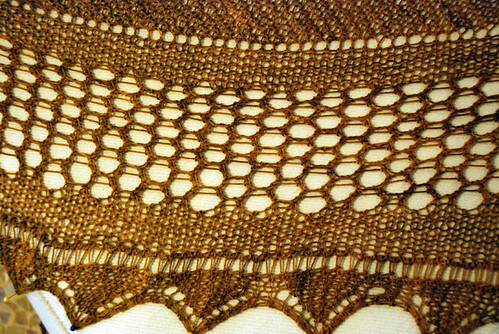 The pattern is Aestlight from Gudrun Johnson, it is the first shwl I knit with a knitted border. It is a nice pattern to knit, not boring and with lots of changes. 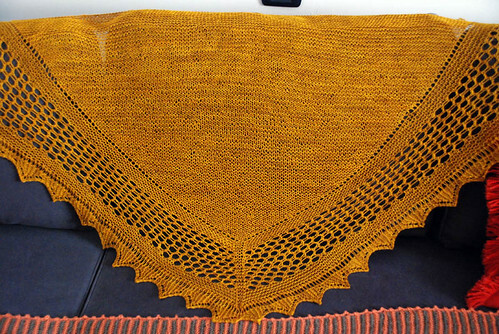 The wool is Wollmeise (sent by me by the lovely Paola in color "Olive oil" and that was the first time I used it. It's a very dry yarn, but with a beautiful touch. I used it to the last bit, and cast off with the no yarn cast off method using a crochet hook. 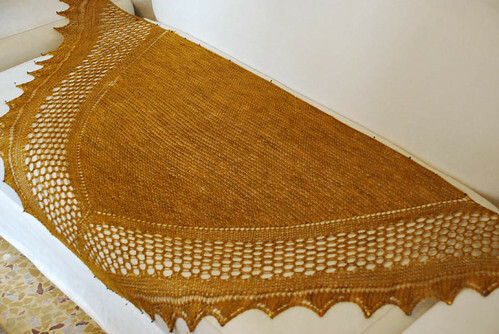 The blocking was amasing: the shawl bloomed and became gigantic! How nice is that?